Graphite and coloured pencil (for the eyes) 8x10 I did this as a hand study. Hands are one of the scariest things for an artist to draw, I think. There are a lot of different shades and wrinkles of skin and too little can make them look alien while too much can make them look...well...another kind of alien. Not to mention fingernails. They're like teeth: if you make them too dark your character will look filthy. 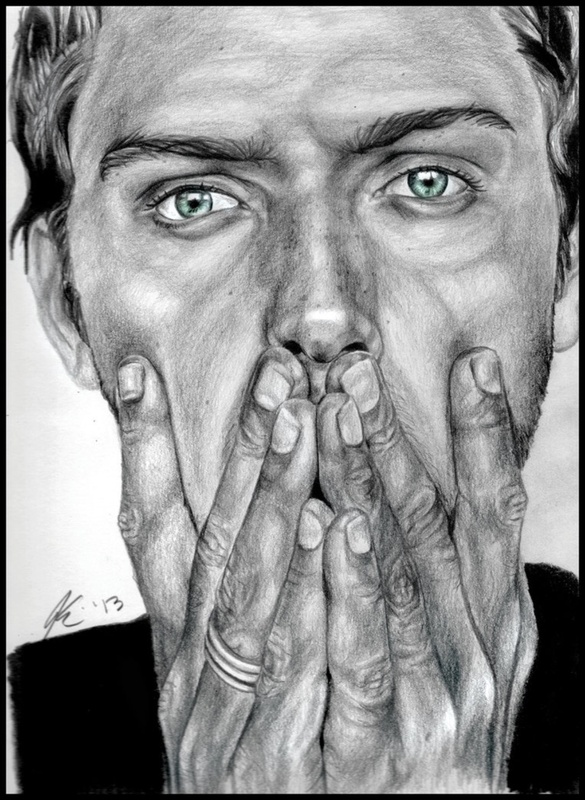 So, I stumbled across this photo of Jude Law and thought it'd be a good time to practice my hand drawing. Turns out that he's incredibly fun to draw. Especially those eyes.